This steamer with metal steam head is suitable for steaming clothes, table cloths, bed linen, curtains and much more. Do you have articles made from delicate fabrics which need handling with care? Using the J-2000 M PINK you can smooth them out quickly and conveniently. The J-2000 M PINK Jiffy Steamer has a water tank capacity of over 2.5 litres. Once filled and switched on, the steamer is ready to use after just 2 minutes. The water tank capacity is sufficient for 1.5 hours of steaming. 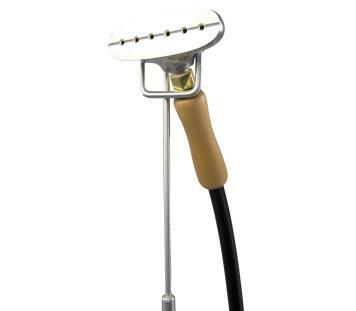 The garment steamer is easy to move due to the castors on the bottom. 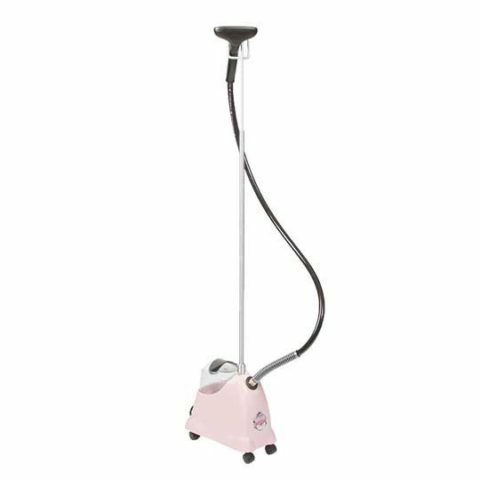 Do you have any questions about the J-2000 M PINK garment steamer? If you order the J-2000 M PINK garment steamer by Jiffy Steamer with metal steam head through our website, we will offer you a full 2-year warranty. Please contact us any time in case of questions about the steamer’s use, care or service.